My name is Sunsirai, but I go by Sunny. I was born and raised in Las Vegas, Nevada! It has been a wild ride here in Sin city, but I've made the best of it by traveling, finding new restaurants that I love, and recreating dishes at home! 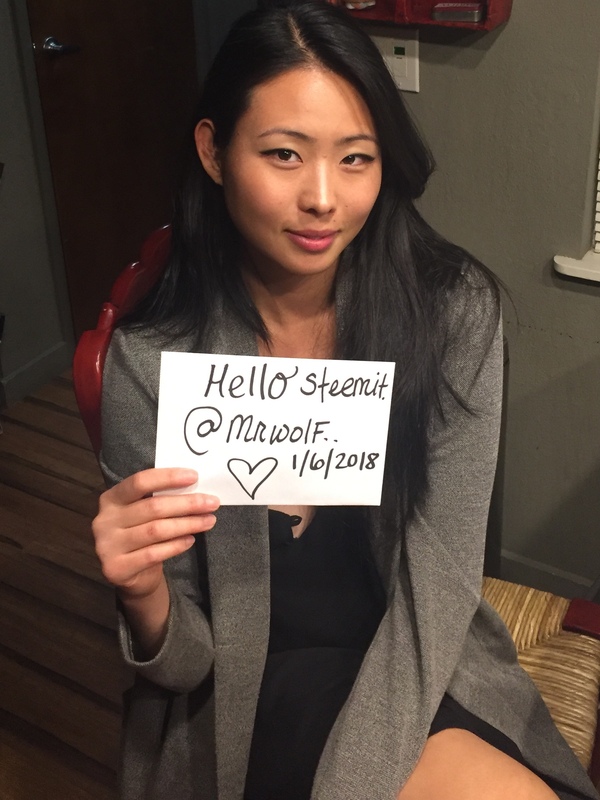 I am so excited to now be a part of the wonderful Steemit community, and I can't wait to start off the new year with sharing what I love most. Here's a preview of more to come below: I hope you enjoy! Overlooking the jungle in Parque Tayrona, Colombia. A magical place in the Sacred Valley of Peru. 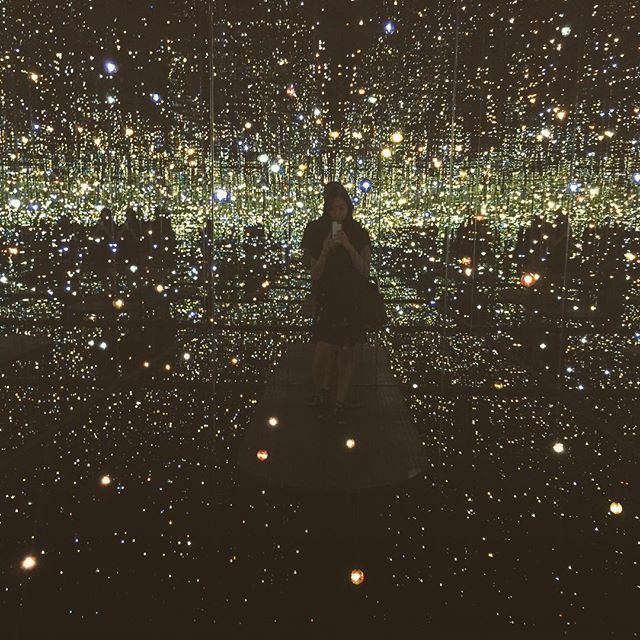 Yayoi Kusama: Infinity Mirrors - The Broad in Los Angeles, California. Eating a smoked beef rib at Micklewaite in Austin, TX! And last but not least.. My pup Charlie looking like a stud. There will be more posts to come in the near future.. Stay tuned. Awwwwwwe snap. Welcome to steemit; can't wait to read more! Hey thank you so much! Can't wait to start posting more on this awesome platform. Spreading the love! Nice photo! Welcome to steemit! Thank you! Glad to finally be a part of the community. Welcome to our beautiful community here on Steemit! If you post everyday, and comment and upvote others, you will find great success! Hello! Thank you so much for the tips. I am excited to start posting more content. The adventure begins! Welcome.Wow @extrospect vote all of your reply.Nice to meet you. You are really very beautiful... And your Pup is really cute and looking very innocent. Thank you! Charlie is one of the best pups i know! He's a good dude that @extrospect. Yup, and great content over there for sure! Hey Rin nice to meet you as well! Colombia is so much fun. I am sure you would love it there. Once you have an authentic empanada there is no going back. Ill post the recipe soon! Wow you post the recipe?! What a great thing! Can't wait!! Oh hey! And I also uploaded my introducing post. Read it when you have time! 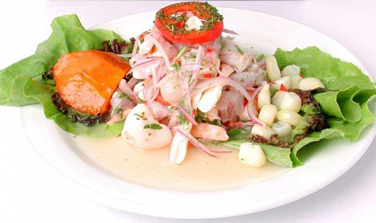 Hola sunny la mejor comida creo que esta en peru sin duda, has comido alguna ves el famosisimo ceviche peruano o el cuy relleno sin duda, son uno de los mejores platos de peru y el mundo. Hola! Me encanta el cuy al horno, la piel es muy crujiente. Si el ceviche es mi favorito tambien! La comida de Peru es muy deliciosa. Welcome to steemit! What a wonderful places you have there, specially Machu Picchu. Have read some about those early inhabitants of that place, a remarkable history. Thank you! Yes, they had amazing architectural and agricultural techniques. Its too bad the site was only inhabited for less than 100 years. Evidence tells us that the inhabitants were immigrants and brought in guinea pigs and llamas. The sights were truly amazing! Really? I thought aliens from Niburu built that town in the top of the mountain. That is according (if my memory serve me right) from Zachariah Sitchin. Nonetheless, keep on posting. a good post. I would be wary of anything Sitchin wrote. He likes to think we were too stupid to build all the great things we have through the ages so "Aliens". It was built around 1450 and used techniques known to the Inca for decades. The Spanish never found the site but the estate was abandoned shortly after its creation. Most likely due to illnesses brought by the Spanish invaders. I cannot argue with you on that, for as long as we know our history, we embody the soul of our nation. Welcome to Steemit! Remember to Post, post and post! But never forget to reply to comments! Resteemed and upvoted! Awesome to see you here. You will find success here by posting! :)! Thanks so much! I love all the content I can access from around the world on this amazing platform. thank you so much for sharing your beautiful pics :) !!!!!! Thank you more to come soon! I will love to see your wonderful comment on it, this will help us to know what next to do or any adjustment. Here is the link to the community post sir, link. I just followed him, I will take my time to check out all his previous beat. Thanks for the comment! @extrospect is very knowledgeable about Steemit and Crypto in general. Yeah You are right, I always check out @extropect duo he doesn't post often, I learn alot from his comments. Dear if you dont mind can u check my post on you @extrospect only if y dont mind then . Welcome and share your world with us!! Thank you! Cant wait to share more with you. Welcome! Have a great time posting! Thank you! Looking forward to learning from this awesome community. Welcome to steemit. Have fun. Steem on! Thanks! Steem on my friend! Thank you! I would love to travel to south east Asia especially the Philippines. Maria Cristina Falls sounds amazing! P.S. I love me some lumpia! I'm happy you've been in the Philippines. Have you tried the Lechon? Your Philippine trip will be incomplete without eating this. Haven't been there yet but want to go soon! I bet the lechon is great I love pork. Please do. Hope to extend my virtual circle of friends with you. Always glad to meet new people! This community has so much to offer and is growing every day! I hope the community will remain like this in the future (with great developments too). You are welcome on board,i hope you enjoy yourself here.... I'm a friend. You are welcome.. Hope to see more of your posts. I guess we can be here? Going to post some recipes tomorrow. Stay tuned for the results! Today is the day will have another post up soon! Aiit,i would be waiting for it. I will see it when u post it for im following u already. I mean,i hope we can be friend here. Thank you! I am excited to start my Steemit journey. hola Sunny que hermosa imagen de mac chupichu se ve que te gusta peru, es un muy buen lugar bien venida a steemit. Hola! Sí, me encantó Perú. La comida y la cultura son increíbles. Gracias! You're so gorgeous welcome to steemit and to your puppy Charlie who looks amazing as well. Thanks so much! Charlie is the real star of the show haha! Thank you! I hope to share even more pictures from around the world and my kitchen with you! I hope you enjoy finding common issues with people and learning new things. Thank you! Im already finding so much in common with the community as a whole. Ill check out your blog for sure! I just read your profile & Intro post. You are an Interesting person to get connected to. I just love your Lifestyle. Feel free to reach me for any kind of help you are ever in need of. Thanks for the interest! I will be trying to post something every day. New recipe post to come soon. Sure, I am following you. Thanks! Excited to see what like minded people are here on Steemit! Thank you! Sounds good ill have some new posts up soon. Welcome fellow traveler @mrwolf :) looking forward to hearing cool stories from you :) Viva Las Vegas! 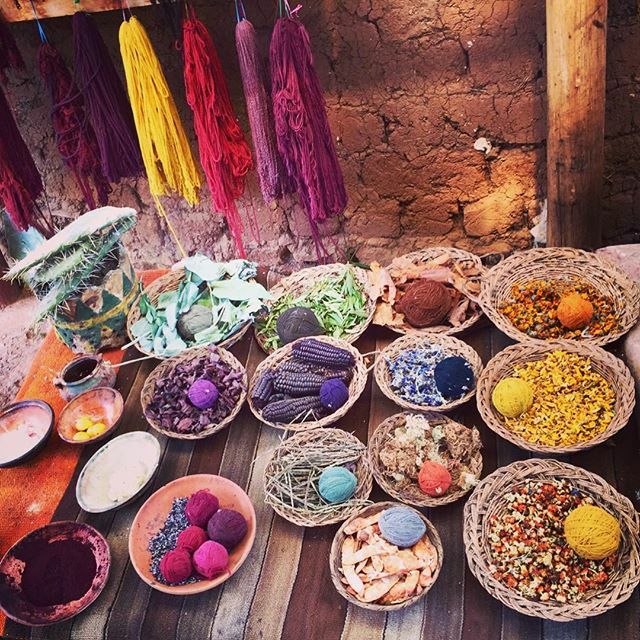 Love your Peru photos! I was there too! Seeing that made me happy :) Welcome to Steemit! Wish you the best!